If you want to move to NYC, there are several things you should be aware of beforehand. The first thing you’ll need to understand is the transportation system. If you have a car, you might want to consider ditching it. Most streets are filled with cars parked bumper-to-bumper leaving no space, especially for those of us who get the heebie-jeebies with parallel parking. Finding parking is as rare as finding someone who dislikes Stranger Things. It just doesn’t happen. Even if you secure the perfect spot, you’ll have to move it every week (oftentimes twice per week) for street cleaning. 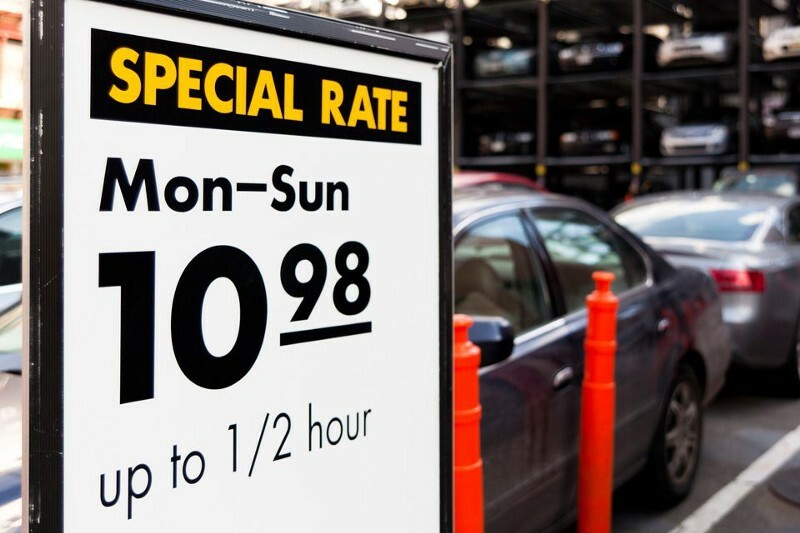 If you decide to park in a garage, you’re looking at nutty costs, sometimes up to $500/month. And, auto insurance is more expensive in NYC. Might be time to bid farewell to Sally the Subaru. Most people rely entirely on the subway for transportation, supplemented with walking and ridesharing options like Lyft, Uber, Gett, Via — the list is endless. Another alternative (when it’s warmer) is biking or skating. Be sure to purchase an industrial bike lock as bike theft is pretty common. If you want to be extra cool, you can get a motorized skateboard like New York’s favorite vlogger. When it comes to city living, be ready for more air pollution than usual. With over 1.6 million residents on a 22-square-mile island, pollution is unavoidable. The good news is that NYC isn’t as polluted as other major cities (Top 5 located in California). Find an area that isn’t by a major street. Insider tip: find an apartment a couple blocks from the nearest subway station. 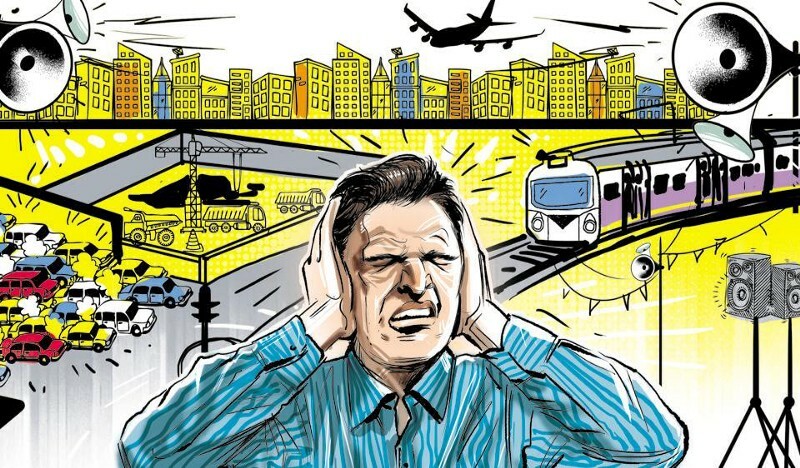 Avoid living near a police station or hospital — sirens are very loud. Consider living in Brooklyn or Queens where it tends to be quieter. Try playing white noise at night, or drown it out with a fan. Give it time and you might get used to it. There are a few things New Yorkers need at all times, no matter what. Cash: you’d be surprised how many places are still cash-only. This includes some restaurants, diners, bars, bodegas, food carts, and fruit stands. Sometimes subway ticketing machines are broken and only accept cash as well. If you don’t carry cash, you’re guaranteed to find yourself in a pickle at some point. Metro Card: this one’s a given. If you’re going to take the subway everywhere, don’t forget to keep your metro card on you! Consider getting a stick-on card holder wallet for the back of your phone case so it’s always with you. Subway Map: obviously you don’t need to carry a paper map around with you, but having a digital one downloaded on your phone will be indefinitely handy. You’ll find this necessary on those days where the L is shut down so you need to take the M. And the M is shut down so you need to take the J. You’ll have no service underground to search for directions on your phone, so your downloaded map app will be a lifesaver. Trust us, this happens more often than you’d think. The most interesting thing about New York City is the mass amount of diversity. This applies to food, fashion, culture, and neighborhood. There’s something in NYC for everyone — you just need to find the place that feels like home. Different parts of the city have drastically different prices for rent, and this typically mirrors the cost of everything else in the neighborhood (food, drinks, gym memberships, etc.). If you’re looking to find a place where there’s a lot of people with the same ethnicity or culture as you, chances are, there’s somewhere in NYC that will fit the description. Ask your real estate agent, landlord or leasing agent about the neighborhood’s vibes. If aesthetics are important to you, take photos of all of the places you look at and decide whether living somewhere beautiful like SoHo is worth the price tag associated with it. If you’re looking for a pragmatic location, choose somewhere either close to work or a train that will easily take you to work every day. If you plan on living there for a while, do a bit of research and see if the train you choose is dependable, or will be shutting down any time soon (we’re looking at you, L train!). Check out your desired locations at night, during the daytime, on the weekend and during the week. Neighborhoods’ vibes differ throughout the week. Moving to NYC can be stressful due to the handful of unexpected “WTF!” moments. Broker and building costs. Unique to New York City, the renter is responsible for paying the broker fee (12-15% of annual rent). On top of that, building’s often require a down payment of first and last month’s rent, plus a one-month security deposit upfront. So, given the median rental price in NYC of $3,350/mo, you’d need approximately $14k-16k (no big deal) saved up just to move in. Tip: search for no-fee apartments with no broker fee. COI (Certificate of Insurance). Nearly every building in NYC requires a COI from professional movers when moving in. You must obtain the insurance requirements from your building, send them to the moving company and have the moving company forward a fully executed COI to the building for approval. Tip: make sure your moving company meets the building’s insurance requirements prior to hiring them. Elevator Reservations (& Restrictions). For buildings that have an elevator, you typically have to reserve a time slot to move in your furniture. Most buildings only allow one tenant per elevator slot, and oftentimes restrict moves to Monday through Friday from 9am to 5pm. Familiarize yourself with your building’s moving requirements to avoid these hiccups. For help with these moving logistics, check out Moved.com where you get a free personal assistant to coordinate your move to NYC! Welcome to New York! It’s been waitin’ for you.